Help us reach our goal of 100 donors by the end of the month! *Donate at least $25 to get rewards from the Give! campaign. * ($10 minimum amount for donors 17 and under). So far we’ve got 19/100 donors! Spread the word! 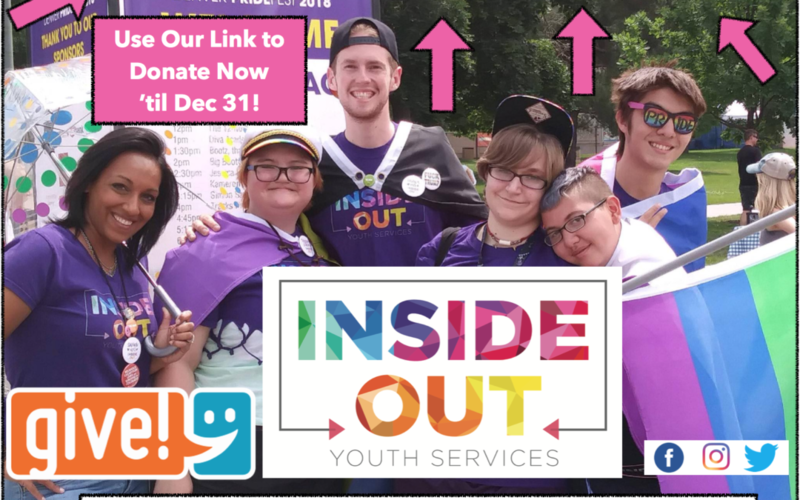 Inside/Out is in the Give! 2018 campaign and looking to win one of the Most Young Donors (under 36 yo) grant for an extra 3k! We couldn’t do all that we do without our amazing volunteers, donors, and supporters like you! Consider donating today to help save and advocate for LGBTIQ+ lives in the Springs.